Medical organizations currently face a significant challenge when integrating systems and processes across the care continuum. Electronic Health Record (EHR) systems have become a mission-critical component for delivering appropriate and timely high-quality care. They function as the single source of truth for providers and patients. Healthcare providers need their EHR and supporting infrastructure to be always running and compliant with strict regulations for health data security and privacy. The valuable information stored in a patient’s electronic record has not gone unnoticed by individuals looking to profit from the sale of financial and personally identifiable healthcare information (PHI). The motivation for attackers is a simple one — money. Hackers can get patient or doctor personal information and sell it on black market. Cyberattacks can assume many different forms, from attempts to penetrate systems by exploiting unpatched vulnerabilities in IT healthcare systems to phishing attacks to convincing doctors to download malware to their networks. Medical devices that rely on accessing the internet add potential threat vectors to an organization’s health IT infrastructure. Understanding the attraction of bad actors to sensitive health data should lead organizations to rethink their approach to health data security. A proactive way to boost health data security is two-pronged: surveillance and remediation. The ability to effectively monitor threats requires visibility into the many endpoints that comprise the organization’s entire infrastructure. However, organizations will not be able to gain this insight unless data feeds are organized and displayed coherently and concisely to key IT staff. Prioritization is the key to remediation because it’s nearly unachievable to fix each and every problem. That means looking at the results of vulnerability scans and assessments, and prioritizing and responding to security incidents and vulnerabilities that would have the greatest impact on the security of your organization first. Buy-in from the top levels of the organization is likewise vital to making tough but necessary decisions around a cyber response plan. Taking a proactive approach to cybersecurity response is the best way to prevent minor threats from becoming major ones. In addition to malicious attempts to take down critical systems, EHRs and other health IT infrastructure that perform above or below appropriate thresholds can also lead to system outages. A comprehensive view of a healthcare organization’s IT infrastructure and the impact of these outages on critical services is essential for delivering a great patient experience. Using an IT operations management solution that automates service mapping helps with getting complete service visibility. It lets healthcare providers get to the root cause of business service issues, instantly see the business impact of planned changes or outages, and easily optimize the architecture of critical business services, reducing costs and improving reliability. The ability to pinpoint and respond to security incidents and weaknesses on the network, within individual systems or elsewhere proves an equally powerful tool in combating cyberattacks. The creation of a configuration management database (CMDB), a record of all IT assets in the form of configuration items (CIs) provides additional benefits. These assets include hardware, software, networks, location, documentation, and personnel. The end goal is helping providers keep their mission-critical systems online to ensure patient care isn’t impacted. Distribute to employees privacy and security requirements. Disguise all medical files data through cryptography. Health IT systems support clinicians in the delivery of high-quality care. 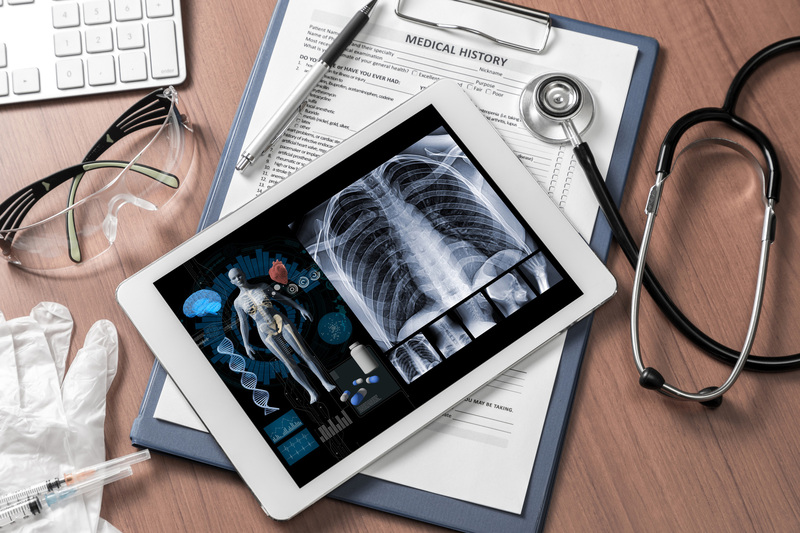 When they go offline and data becomes unavailable or compromised, these systems can instead prove a serious hindrance, especially when EHR technology is one of those affected systems. As healthcare organizations expand and support more complex services and technologies, their IT leadership will face increasing challenges in keeping critical systems operational and sensitive data secure from bad actors.